Scalping is most favorite techniques almost for all forex trader in the world. Why ? The answer is easy. Scalping is very fast to get money in forex. Forex scalping has gained high popularity nowadays. 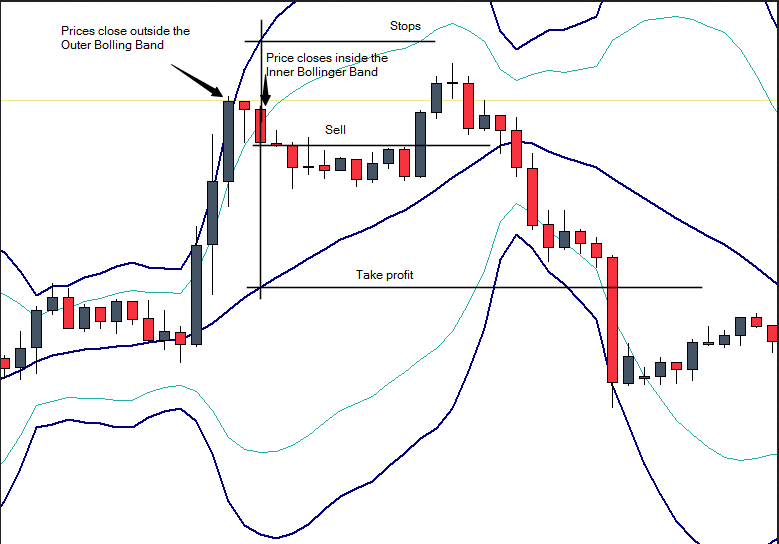 You are welcome to explore the bollinger bands of forex scalping strategies and ideas! True scalping involves risk as well as any other type of trading. If done correctly Forex scalping provides an additional degree of risk management as a result of holding trading positions for a very short period of time as well as constant monitoring of the price and collecting quick profits as they appear. Forex scalping systems if used will assume trader’s own risk and full responsibility. Scalping Forex is fun. Learn it and trade profitably! 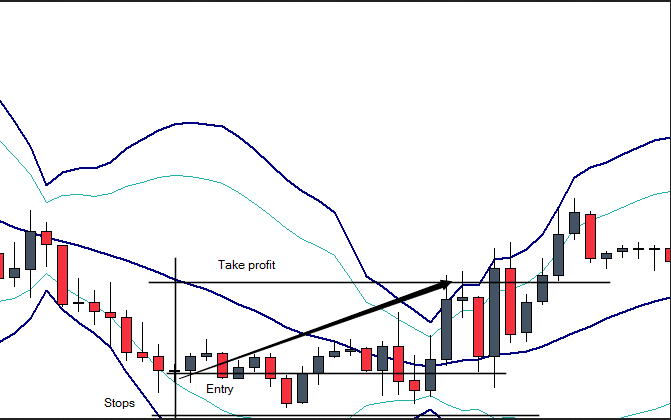 At this time i’ll share scalping using bollinger bands. Bollinger Bands are a technical trading tool created by John Bollinger in the early 1980s. They arose from the need for adaptive trading bands and the observation that volatility was dynamic, not static as was widely believed at the time. The purpose of Bollinger Bands is to provide a relative definition of high and low. By definition prices are high at the upper band and low at the lower band. This definition can aid in rigorous pattern recognition and is useful in comparing price action to the action of indicators to arrive at systematic trading decisions. deviation of the same data that were used for the average. The default parameters, 20 periods and two standard deviations, may be adjusted to suit your purposes. How To Scalping Forex With Bollinger Bands Indicators ? First of all we need setting the primary bollinger bands of 20, 2 and then we set secondary bollinger Bands indicators with a setting of 20, 3. Once the two bollinger bands are applied on the chart, we can looking the best entries.. This double bollinger bands strategy can works on any pairs and any time frame. After several test, we’ve found the best entries is using one hour time frame. Our trading suggestion using one of the best forex brokers that on the list below at the end of this article, like tickmill, fxprimus to start using this scalping with bollinger bands strategy is because we need forex brokers that give us a lowest spreads and fastest execution for sure. Usually i’m using averaging trading strategy with range 5-10pips until stop loss level and still with tight money management of course.You can combined this scalping technique with confirmation reversal candlestick patterns to get forex signals highly accuracy. Having patient is very important when using this scalping bollinger bands trading system! Happy trades and happy scalping with bollinger bands.